Former Vice President Al Gore and his wife, Tipper, have added a Montecito-area property to their real estate holdings, reports the Montecito Journal. The couple spent $8,875,000 on an ocean-view villa on 1.5 acres with a swimming pool, spa and fountains, a real estate source familiar with the deal confirms. The Italian-style house has six fireplaces, five bedrooms and nine bathrooms. The counter-consensus to quasi-scientific hype and induced panic on climate change is at last assembling. The argument is not in the first place as to whether or not climate change has been taking place, but whether any recent warming of the planet is appreciably due to human activity and how harmful it will prove. Tom Stacey, in his eloquent and provocative introduction, investigates our tendency to ascribe this and other perceived planetary crises to some inherent fault in ourselves, be it original sin or a basic moral failing. 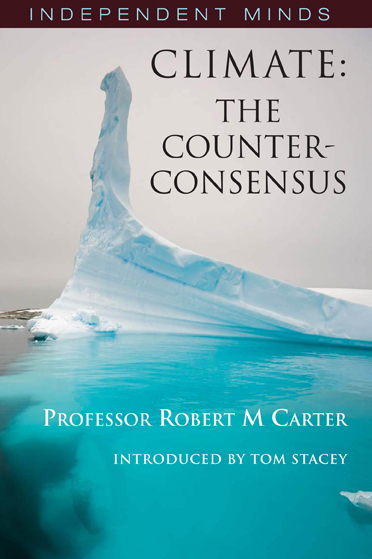 Climate: the Counter Consensus goes on to examine, with thoroughness and impartial expertise, the so-called facts of global warming that are churned out and unquestioningly accepted, while the scientific and media establishments stifle or deride any legitimate expression of an opposing view. In doing so, the book typifies the mission of Independent Minds to replace political correctness and received wisdom with common sense and rational analysis. Follow this link to see a T.V. interview with Professor Carter, with the kind permission of the Rhema Broadcasting Group. Professor Robert Carter – Professor Robert Carter is one of the world’s leading palaeoclimatologists, and his work investigates the past cycles of the earth’s unpredictable natural climate change, especially over the last few million years of planetary ice ages. Ocean Acidification: How Bad Can it Get? In a special issue of Oceanography published in December of 2009, Feely et al. review what we supposedly know about the current pH status of the world’s oceans, as well as what they say we can likely expect by the end of the current century. Figure 1. Past and projected trends of fossil-fuel carbon utilization and the atmosphere’s CO2 concentration. Adapted from Tans (2009). Who needs a committee report to spot rank deception? The issue of the ClimateGate emails leaked or hacked from the East Anglia CRU is not that complicated. The emails are damning because anyone who reads them understands that they show petty, unprofessional, and probably criminal behaviour. We know the guys who wrote them are not people we’d want to buy cars from. They are hiding information. We don’t need a committee to state the obvious. The media has forged a consensus around climate change. For more than two decades, the so-called mainstream media have preached the dangers of manmade global warming, insisting American businesses and consumers must make massive economic sacrifices to ward off a global climate catastrophe. Not even last November’s exposure of e-mails from leading scientists on the alarmist side of the debate — showing them conniving to fudge or suppress data, discredit critics and distort the peer review process — has caused journalists to finally take a skeptical approach to radical environmentalists’ doomsaying. Following discusses one aspect of how the peer review process affects the study of global warming. Following is a simplified description of the main statistical error found with the ?hockey stick? 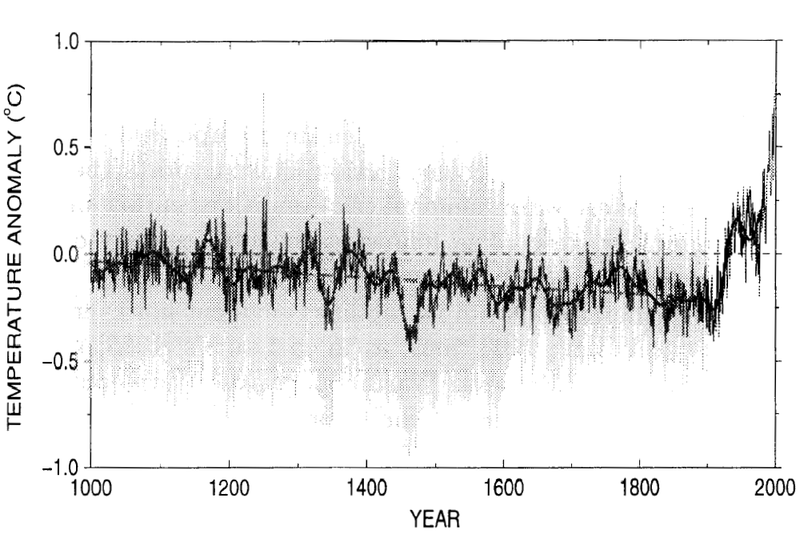 graph of temperatures during the past millennium. Michael Mann, Raymond Bradley, and Malcolm Hughes are three respected scientists in America. In 1998 and 1999, they jointly published some research on how temperatures have changed during the past millennium. According to their research, the temperature in the Northern Hemisphere was roughly constant during the millennium, up until the twentieth century; then, in the twentieth century, temperatures increased very substantially. Their graph of hemispheric temperatures is shown below. Global warming alarmists have been discredited, but you wouldn’t know it from the rhetoric this Earth Day. In mid-November of 2009 there appeared a file on the Internet containing thousands of emails and other documents from the Climatic Research Unit at the University of East Anglia in Great Britain. How this file got into the public domain is still uncertain, but the emails, whose authenticity is no longer in question, provided a view into the world of climate research that was revealing and even startling. Voters continue to show less worry about global warming. A new Rasmussen Reports national telephone survey finds that 54% of voters still believe global warming is a serious problem, but that’s down eight points from a year ago. The new numbers includes 29% who consider it very serious, a number, too, that has been inching down in recent months. It may be time for the United Nations’ climate-studies scientists to go back to school.A group of 40 auditors — including scientists and public policy experts from across the globe — have released a shocking report card on the U.N.’s landmark climate-change research report. 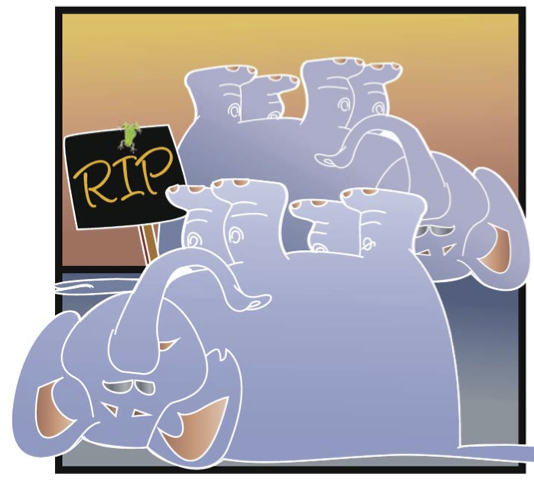 Prof Hand (Head of the UK Royal Statistical Society) praised the blogger Steve McIntyre of Climate Audit for uncovering the fact that inappropriate methods were used which could produce misleading results. “The Mann 1998 hockey stick paper used a particular technique that exaggerated the hockey stick effect,” he said. Among others, Roberts exposes two fatal flaws in the UN’s Intergovernmental Panel on Climate Change (IPCC) greenhouse gas theory. Firstly, the IPCC incorrectly relies on the analogy that the Earth’s atmosphere acts like a giant greenhouse, which it doesn’t. Welcome to a world where the term sceptic has acquired the meaning usually associated with a Dark Age heresy. You are currently browsing the The SPPI Blog blog archives for April, 2010.